Four days prior to their 2018 debut, the Hops announce their 27-man opening day roster. 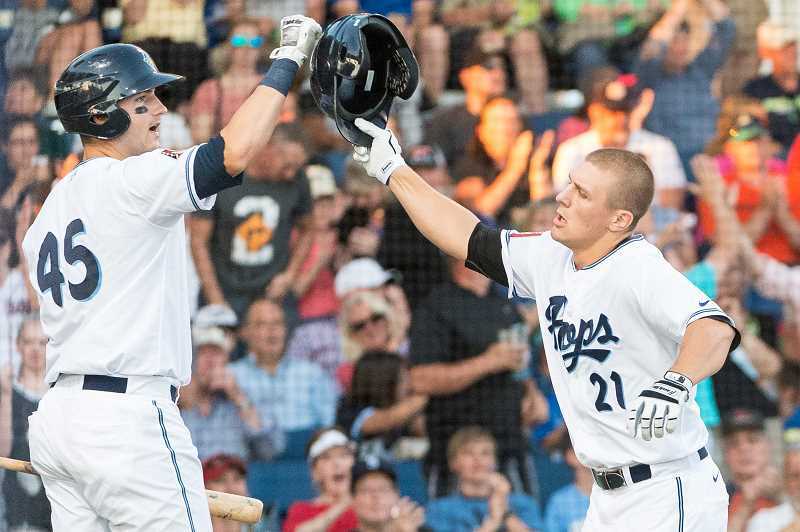 Just four days prior to their 2018 debut, Hillsboro's Hops released their opening day roster in conjunction with their parent club, the Arizona Diamondbacks. The 27-man roster features six returning players from last year's squad, including pitcher's Luis Castillo and Rafael Pujols, infielder Ryan Dobson, and outfielder's Tra Holmes and Dan Swain. In addition to last year's players, three additional players were with Hillsboro at the end of the 2016 season, including pitcher Wesley Rodriguez and infielder's Francis Martinez and Joey Rose. The roster also features three draft picks from the recent 2018 draft, including pitcher's Josh Green, Ethan Larrison and Kyler Stout. Additional 2018 draft picks are expected to join the Hops in the coming weeks. Last year's 14th round pick from the State College of Florida, Keyshawn Lynch, spent last season with Arizona's Rookie League affiliate in Missoula, Montana and played at Ron Tonkin Field during last year's Northwest League-Pioneer League All-Star Game. Rounding-out the roster are two players listed at MLBpipeline.com among the Diamondbacks' top-30 prospects, including pitcher Matt Tabor and catcher Andy Yerzy. Tabor was selected out of high school in the third round of the 2017 draft, while Yerzy was a second round high school draftee in 2016. The Hops are scheduled to open play on Friday, June 15, at Everett at 7:05 P.M. Hillsboro's home opener is on Wednesday, June 20, at 7:05 PM against Eugene. To see the roster in full visit hillsborohops.com.